We’re plagued by chronic disease now more than ever these days. Poor diet, lifestyle habits, low-quality foods, alcohol, and even stress have upped the occurrences of type 2 diabetes, obesity, digestive disorders, fatty liver disease, and even autoimmune disorders among our population. But one of the most menacing of these illnesses is heart disease. Before the industrial era, heart disease and issues like heart attacks were actually quite rare. But as our global population boomed in the 20th Century, with it came cheap, quick foods to feed the world. Yet these foods lack the nutrition and healthfulness needed to keep issues like blood pressure, and inflammation in check, all of which can damage blood vessels and the cardiovascular system. Fortunately, we’re not at a loss when it comes to facing heart disease. Modern medicine has come up with many ways to treat and reduce its risk and to even bring health back after the worst consequences of heart disease arise. For those of us that favor self-care in the form of lifestyle changes and natural herbal remedies, luckily there happens to be plenty of options for us too—and many are supported by research. WHAT’S HEART DISEASE? HOW IS IT TREATED IN MEDICINE? Heart disease is a broad term for a number of disorders of the cardiovascular system. A lot of these develop over time due to poor health. It may be due to one issue or a combination of issues, such as a bad diet, eating too much sugar, not getting enough exercise, experiencing too much stress, not keeping the body at a healthy weight or other reasons. For some of us, genetics and heredity even make us have a greater chance of developing heart disease. No matter the causes, one way or another, heart disease can lead people towards the dreadful—and sometimes deadly—conclusion that none of us want to experience: a heart attack. Heart attacks occur either because the heart is weak and not pumping blood well enough, or because blood pressure is too high because blood vessels and arteries are congested. Either way, modern medicine has come up with a few ways to reduce the risk of this happening altogether, or to curatively treat heart attacks when they do happen. The most common and likely conventional treatments for heart disease a doctor will prescribe are pharmaceuticals or drugs. Some of these help by mediating or lowering blood pressure. ACE inhibitors are one type of drug, which helps widen the arteries to reduce heart attack risk. Beta blockers, another common prescription, lower the impacts of adrenaline on the body due to stress, anxiety, or other triggers. These aren’t the only prescriptions someone with heart disease may receive. Though some of these are incredibly effective, there is one downside: side effects. Some of these side effects include headaches, drowsiness, weakness, dizziness, rashes, fatigue, and even the development of a chronic cough. So, while these pharmaceuticals are shown to be helpful, experiencing the side effects is all part of the package deal, too. When pharmaceuticals just aren’t enough and heart disease is too far gone, surgery may have to be the only answer in extreme cases. For some people, this may be the only option to save their lives. Different types of surgery procedures include bypasses, open heart surgery, bypass grafting, heart valve replacement, arrhythmia treatments, or even entire heart transplants. The downside to these operations: they’re quite expensive. Not everyone with heart disease can afford surgery, even if it’s the only option that could keep them alive or even relatively healthy. There can also be huge risks and complications that may occur during surgery that no one, not even a patient or doctor, could predict. Some of these, in and of themselves, may be life threatening too. Sadly, in some cases, heart surgery of some type MUST happen, especially if a person has just experienced a heart attack or is very likely to experience one. Regardless of some of the risks and costs of this expensive approach, surgery remains one of the top approaches to treating heart disease when it reaches its most dangerous, life-threatening and advanced stage. WHAT CAN BE DONE IN ONE’S PERSONAL LIFE? Thankfully, we’re not all limited to what modern and mainstream medicine can provide us—and we don’t just have pharmaceuticals and surgery to rely on. 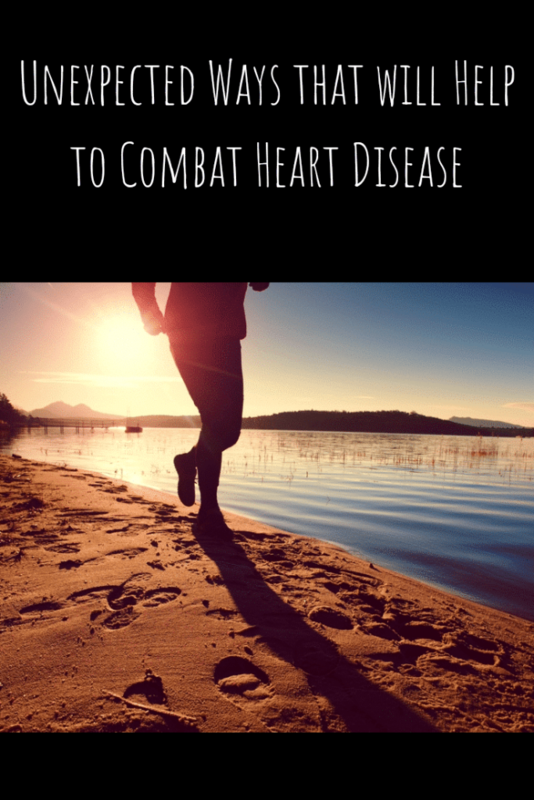 Because most cases of heart disease tend to originate from the way we lead our lives, changing our ways is one of the most powerful therapies for heart disease within our grasp. These certainly won’t change health overnight or even cure heart disease if or when it takes hold. For those of us who have a genetic predisposition for heart disease too, for that matter, we might have to call upon those prescriptions for help in some cases. But really, for anyone facing the dangers of heart disease, changing lifestyle for the better can truly be one of the most powerful, foundational things possible—and even make mainstream approaches and medications all that more effective. After all, things we do in our lifestyle and diet are what increase the risk of heart disease in the first place. Change that, and we just might find we can reverse—or even reduce the risk—of the very worst damage, including heart attacks. Lots of times, heart disease starts right here. This is where it can also be stopped. Consider making the following changes in lifestyle to lay down a solid groundwork that either reduces the risk of cardiovascular disease altogether or makes it much easier to manage if and when it does take hold. Quit smoking. This is a no-brainer. Everyone knows smoking increases hardening of the arteries, which leads to heart disease. Time to kick the habit. Exercise more and manage weight. This is a big deal. 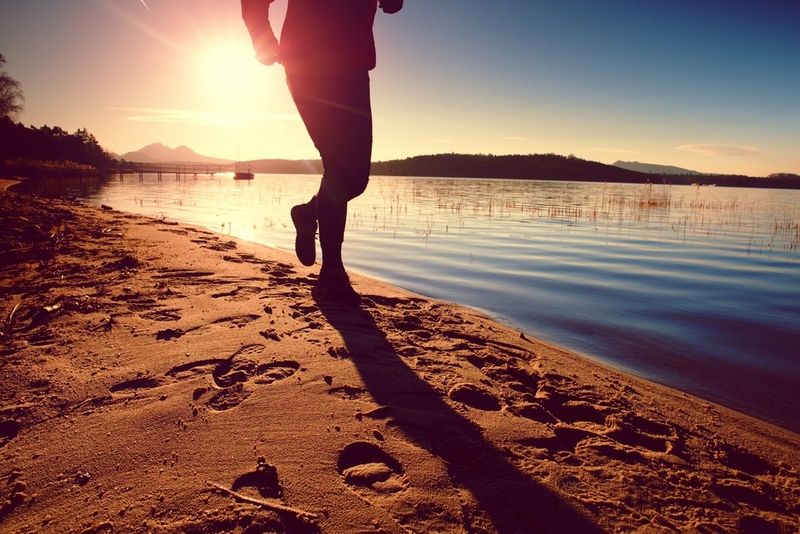 Exercise—especially aerobic exercise—has cardiovascular benefits. It also combats obesity, which contributes to higher blood pressure and heart disease. Manage anxiety. Experiencing anxiety on the regular can increase adrenaline, which in turn increases blood pressure over time. Learning how to alleviate anxiety might help, as found in a 2013 study. Tame stress and depression. These mental health issues also take a toll on the ticker. People with heart disease are vulnerable to depression, and people with depression are vulnerable to heart disease, per a 2011 study. Get good quality sleep. We need restorative sleep aplenty to keep up health, and for many reasons besides our heart health. A 2014 study shows that people with insomnia have a much greater risk of heart disease. Step in that sauna more often. Doing this creates heat shock proteins that not only help curb depression but could also slash heart disease risk. Even Harvard Medical School says saunas are great for the heart. Or, take more cold showers, too. Inversely, turning down the dial for a brisk shower has heart benefits as well. Cold on the skin dilates blood vessels, which lowers blood pressure. Cut down on that screen time. Too much social media scrolling and Netflix—especially at night—can actually soak the body in too much harmful blue light, which has been shown to increase heart disease risk. Limit EMF exposure. Many people don’t realize that wireless signals all impact health too, even though they go unseen. Try turning off that WIFI and staying away from wireless devices, which can be bad for the heart. Right up there with lifestyle changes is changing the diet. Just like changing one’s lifestyle habits, the food we eat is at the root of heart disease far more often than not. If the diet is cleaned up, this can reduce heart disease risk and even make treatments for the disease all that more effective. Here are the best guidelines. Cut down on processed foods and sugar. These are absolutely the worst foods for anybody, but they’re infamous for causing blood sugar spikes that raise blood pressure over time. Avoid bad fats and eat the good fats. Eat tons of polyunsaturated fats (especially omega-3’s) and eat some saturated fats, while avoiding too many omega-6’s. Trans fats are incredibly bad for the heart. Eat more fiber. Plenty of this can be found in fruits, vegetables, and nuts. This plant macronutrient helps curb blood sugar spikes, lowers blood pressure, and thus lowers heart disease risk overall. Eat more resistant starches. These act quite a bit like fiber in that they stop blood sugar spikes. These are best found in carefully prepared carbohydrate foods, like potatoes and rice. Eat in season. Eating foods during the times when they are naturally supposed to be harvested, foraged, or raised ensures that they are as nutrient dense as possible, and thus full of antioxidants that lower risk. Diet not working? Try nutrigenomics. This comes highly recommended to those facing heightened heart disease risk and who are trying to lose weight. Nutrigenomics can unlock the perfect diet for weight loss. ARE THERE NATURAL OR HERBAL REMEDIES THAT WILL HELP? Some studies, like this one in 2014, suggest that oxidative stress is what ultimately ravages blood vessels, arteries, and the heart in heart disease. Obviously, getting more antioxidants in the diet may be key—and herbal sources of antioxidants often provide the very best and highest quantities from the natural world, and with very few side effects. Green tea – This enduringly famous herbal tea is the most well-known for being a healthy antioxidant, with green tea’s unique catechins to thank. Daily consumption could help lower heart disease risk. Ashwagandha – Many compounds in this Indian plant are highly antioxidant, which can protect against damage to the cardiovascular system, according to this 2012 review. Astragalus – Flavonoids found in the root of this plant are powerful antioxidants. A 2012 study found that they could help reduce the risk of atherosclerosis, which can lead to heart disease. Burdock – Extracts from burdock were seen stopping sugar spikes in the blood in this 2017 study. These antioxidant effects could have amazing ramifications for heart health. Cistanche – A study in 2013 showed that the antioxidants in this Asian herbal root could kick-start mitochondrial restoration, which in turn could have a protective effect against heart disease. There’s far more to heart protection beyond the world of herbs. Step into the world of healing mushrooms for a change. Lots of these fantastic fungi show promise as adaptogens, which research reveals may, in turn, keep heart disease at bay. Chaga – Research in 2014 found that this fungus was full of antioxidants that could lower blood sugar, curb diabetes, and thereby reduce several issues that may pave the road towards heart disease and heart attacks. Maitake – Maitake is better known for helping to boost immunity as an adaptogen which helps the body to adapt to inflammation, which in turn lowers heart disease risk. Reishi – This mushroom is also full of antioxidants which help to reduce inflammation and thereby reducing one’s chances of heart disease. Turkey tail – This colorful woodland mushroom has plenty of research to vouch for its richness in antioxidants, which can protect against heart disease. 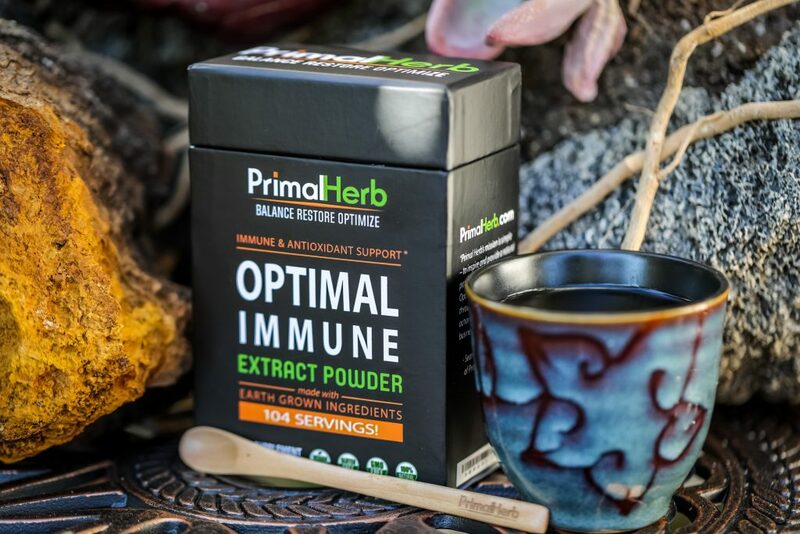 We love antioxidant herbs for their immune-boosting potential—which is why they’re featured in the lineup of our immune tonic, Optimal Immune.